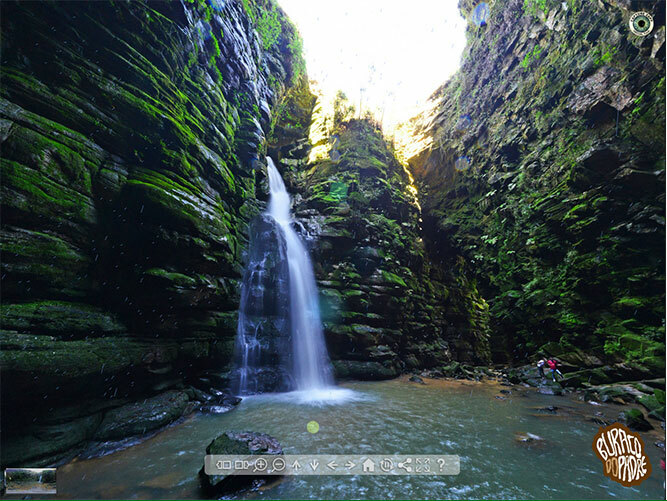 “Buraco do Padre” is one of the main touristic attractions of “Campos Gerais”, the place received this name because of the Jesuits who used the place as a local for meditation many years ago. Despite of having access in its base, “Buraco do Padre” can be considered a type of cave and has an important 30 meters high cascade, coming from the river “Quebra Perna”. The origin of these structures is given due to the circulation of superficial water on the sedimentary rocks (sandstones). This water acidified by the presence of organic matter erodes and promotes the erosion of the rocks. 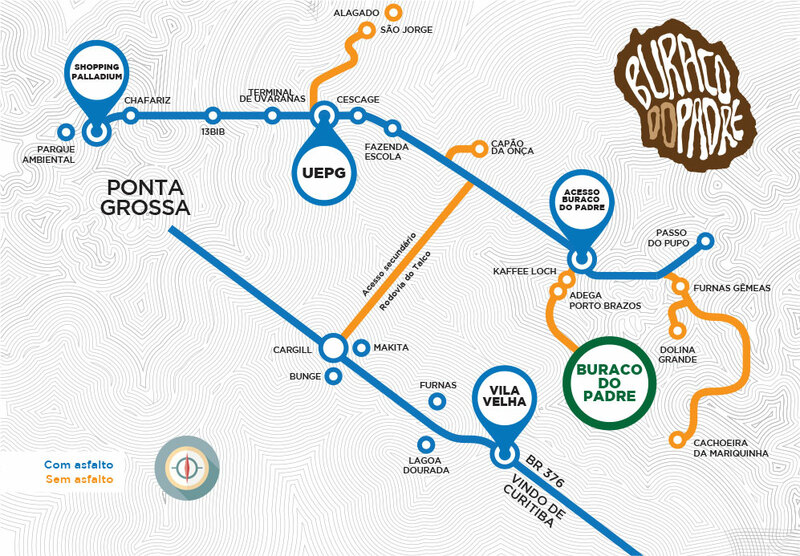 “Buraco do Padre”s park is located in the region of Itaiacoca and the access to it is through “Rodovia do Talco” (PR 513) km 14. Go past UEPG Uvaranas Campus, drive 16 km and turn right on an unpaved road. After 5 km turn left to the access to “Buraco do Padre”. To access the cave it’s needed to go 1km on foot with the presence of natural obstacles. Don’t forget your camera, pictures are welcome and excellent souveniers. When you share your photos on social networks put The hashtag #buracodopadre, then everybody will be able to them. We own Barbecue and bonfire areas. Don’t forget to bring firewood or coal, since the extraction is forbidden. Take care of your belongings , the administration of the Park is not responsible for any lost or forgotten object during your stay. Climbing the “furna” (cave) is forbidden, the access is permitted only on foot. The administration is not responsible for any problems occurred during your stay in the park, or for possible accidents that occur during climbing practice.